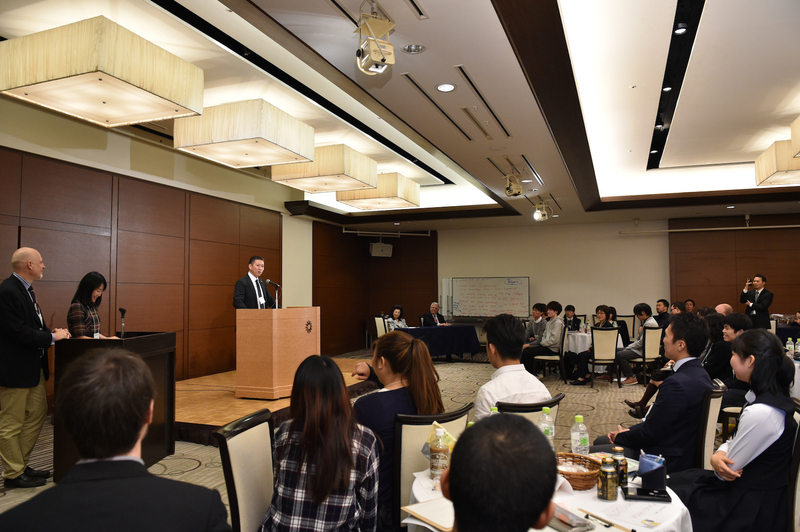 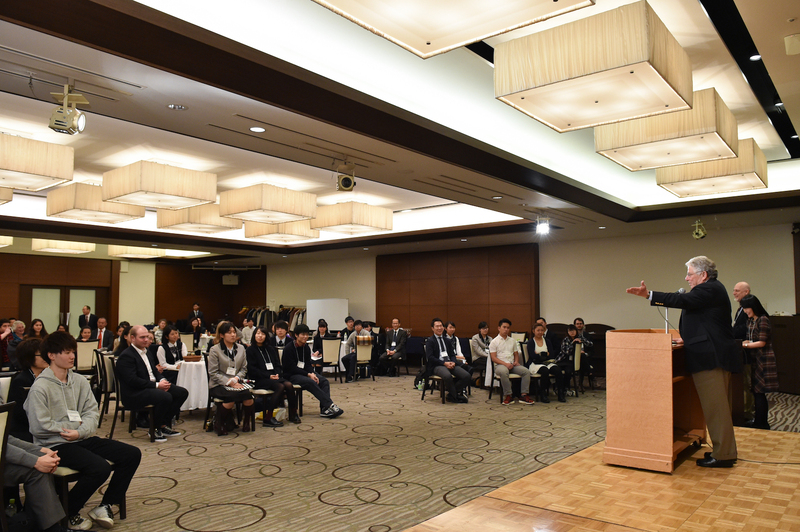 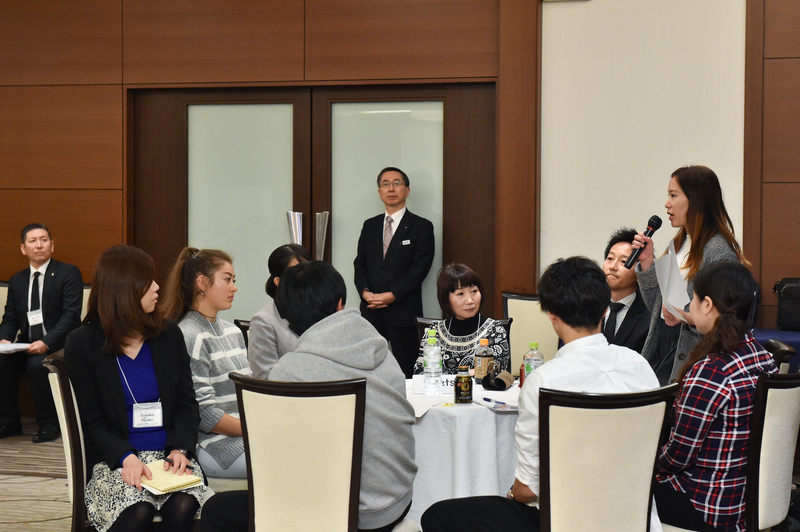 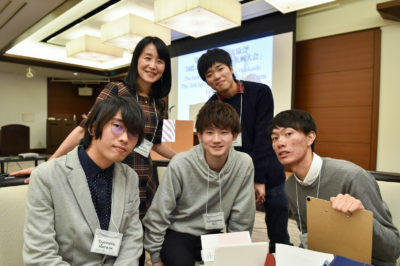 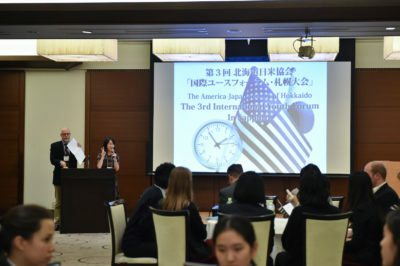 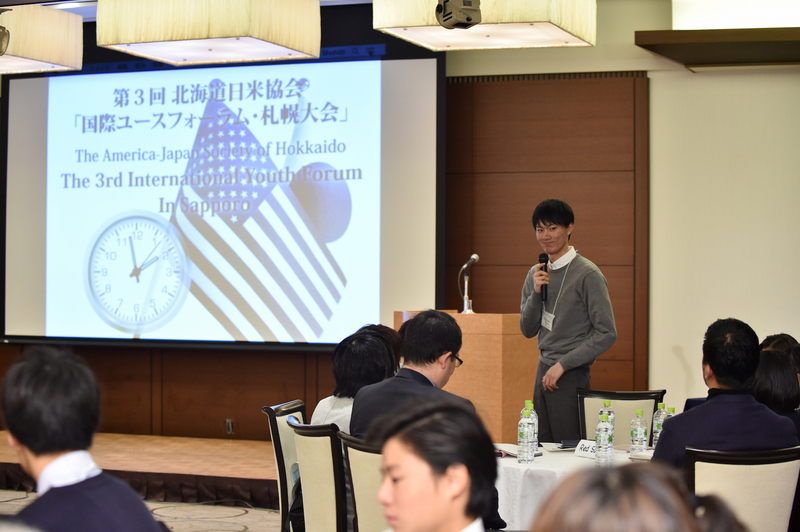 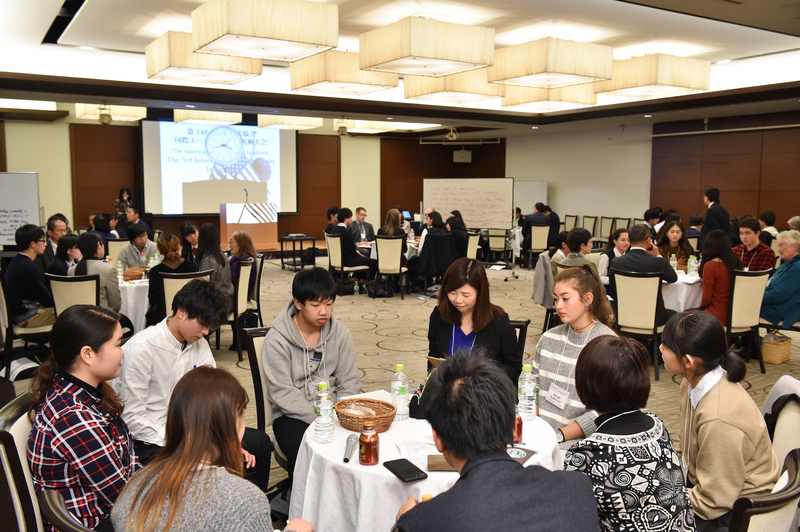 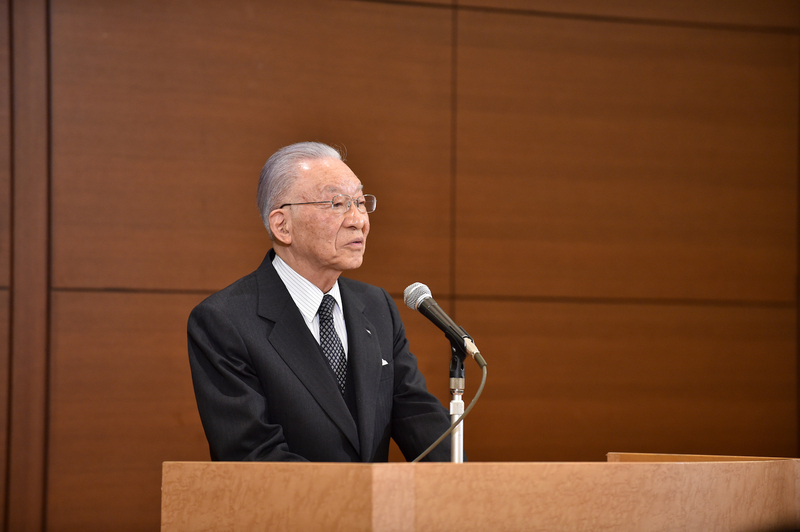 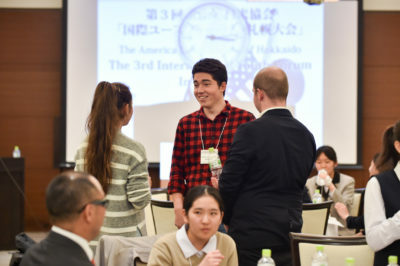 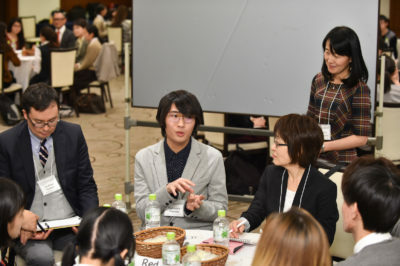 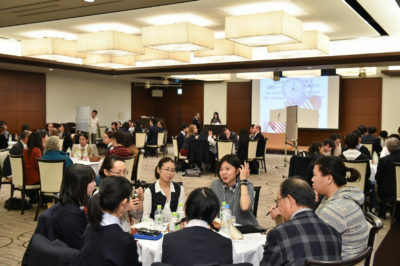 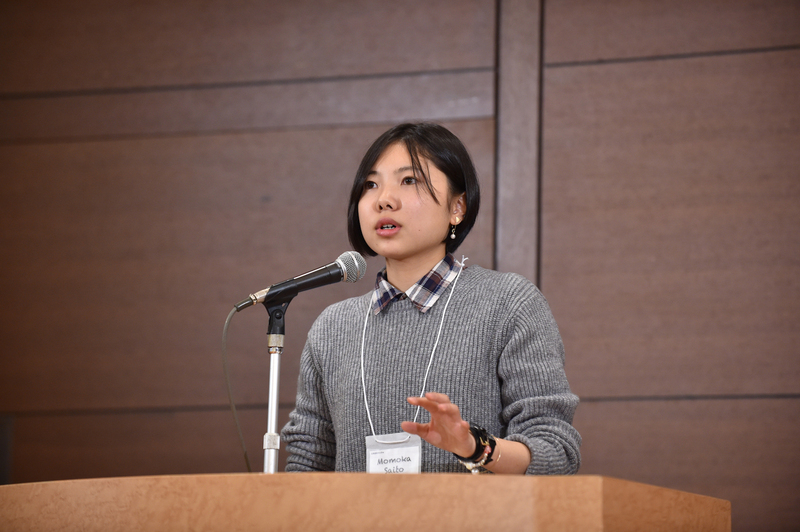 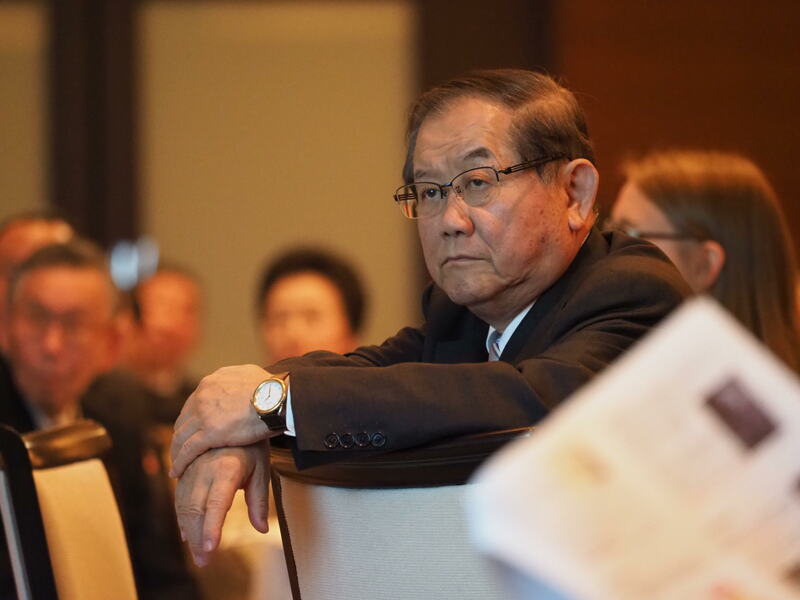 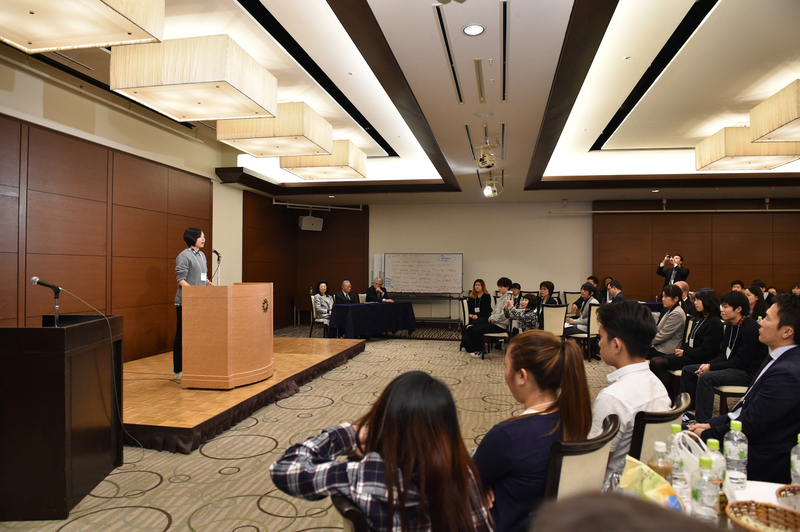 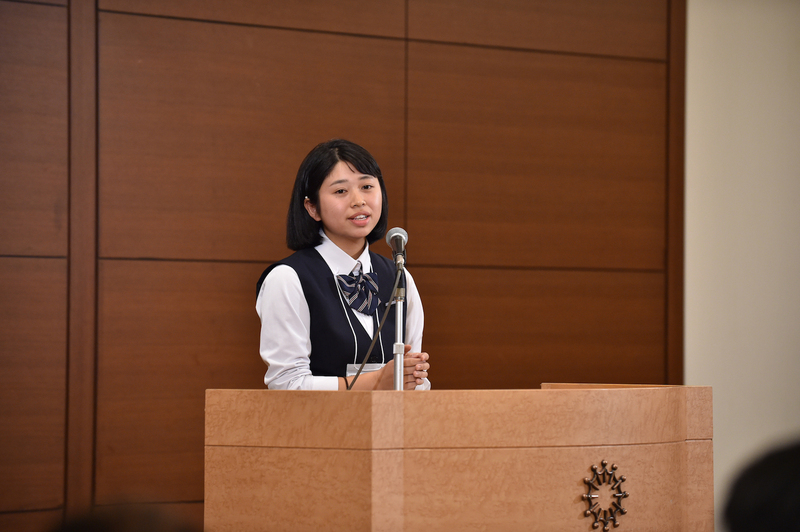 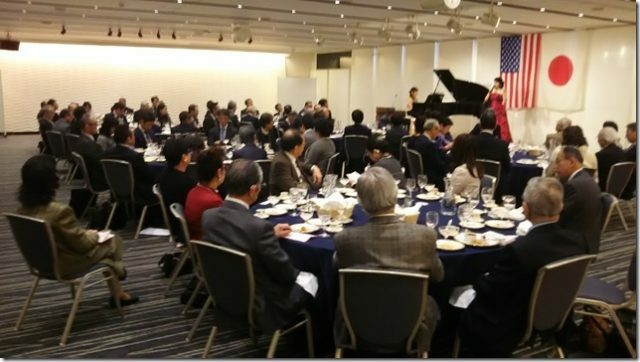 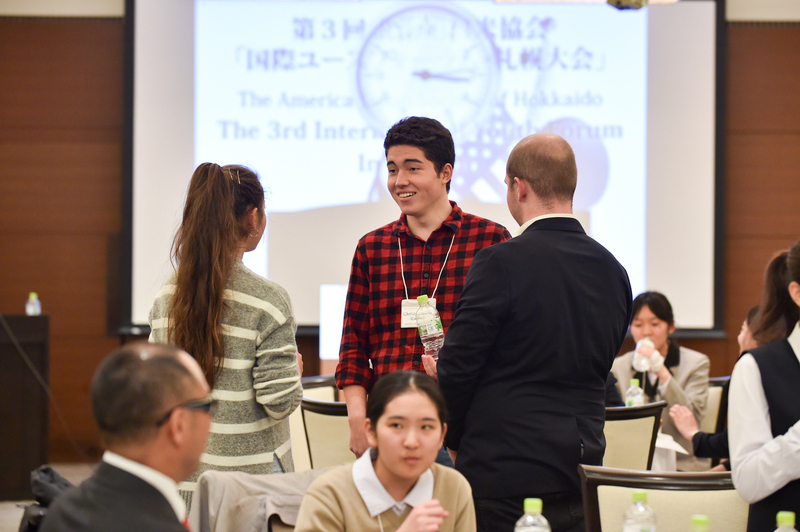 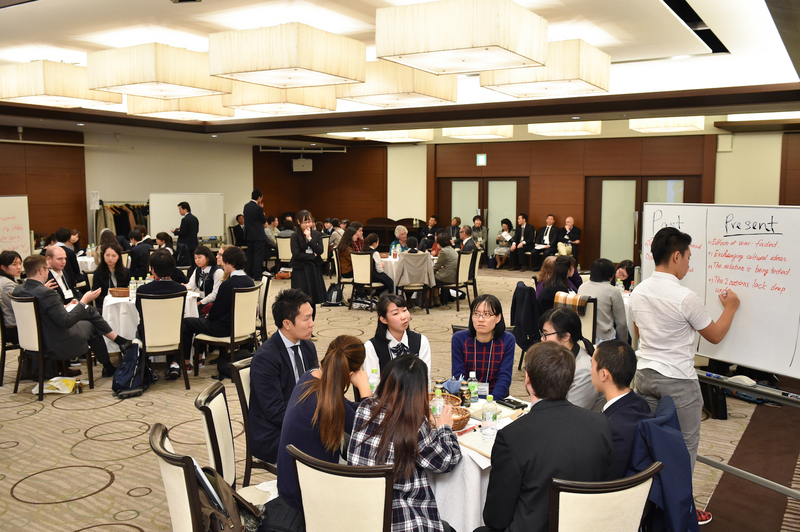 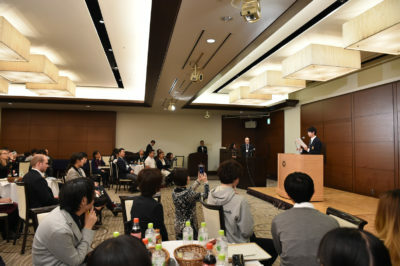 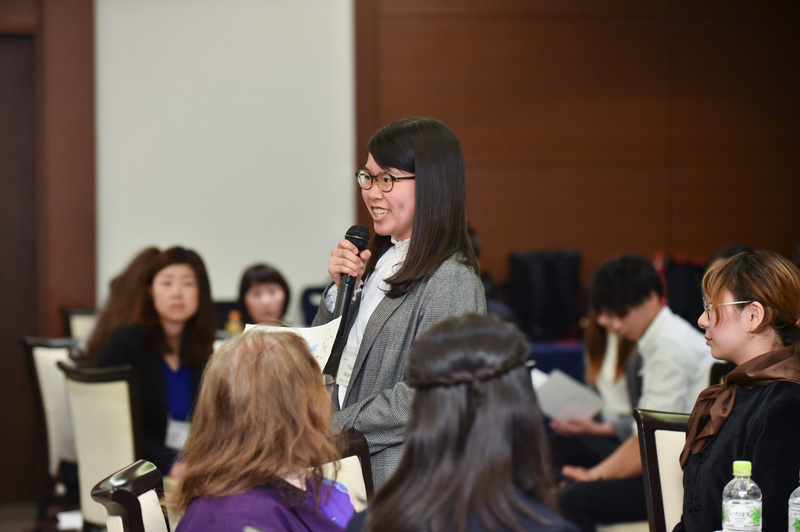 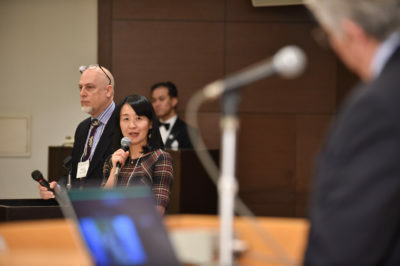 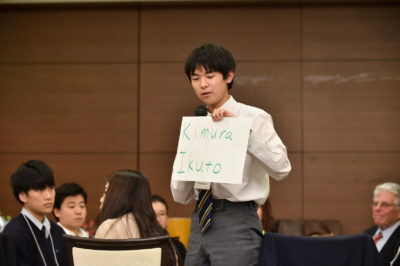 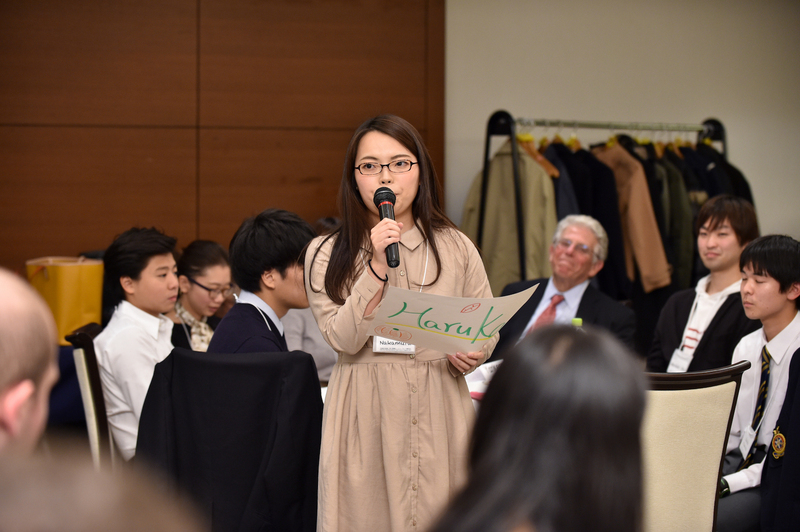 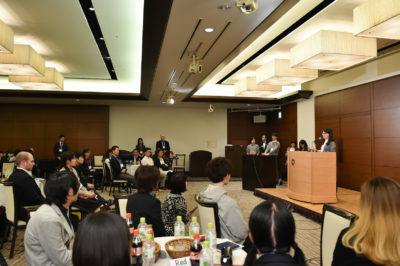 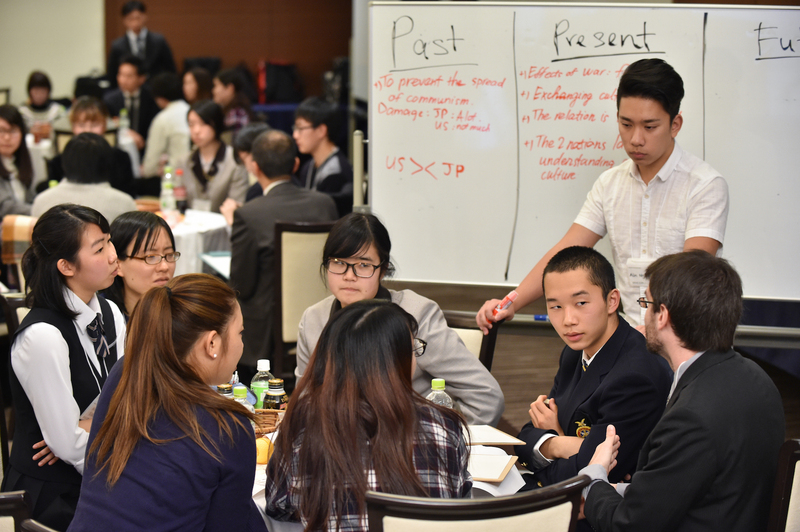 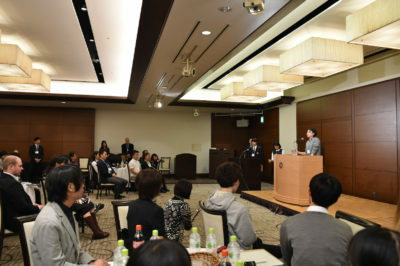 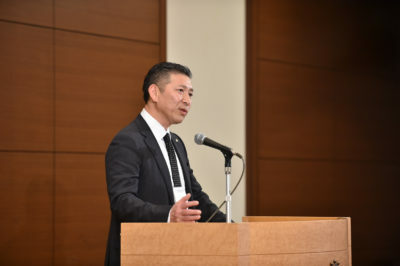 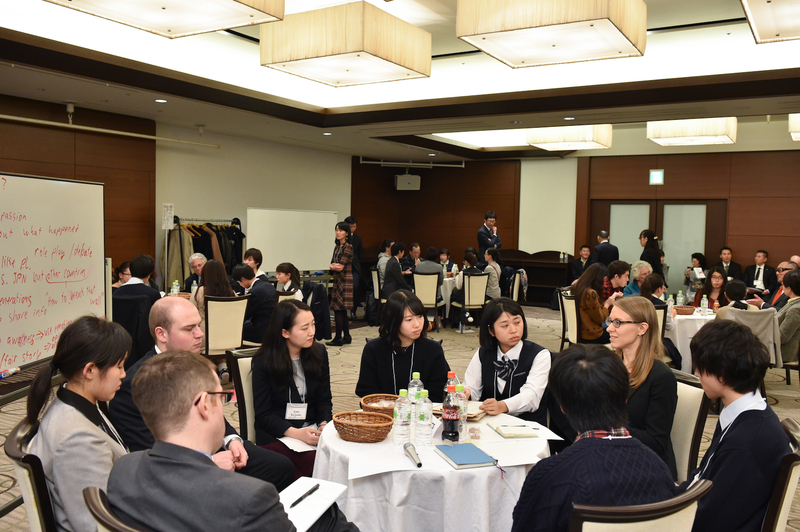 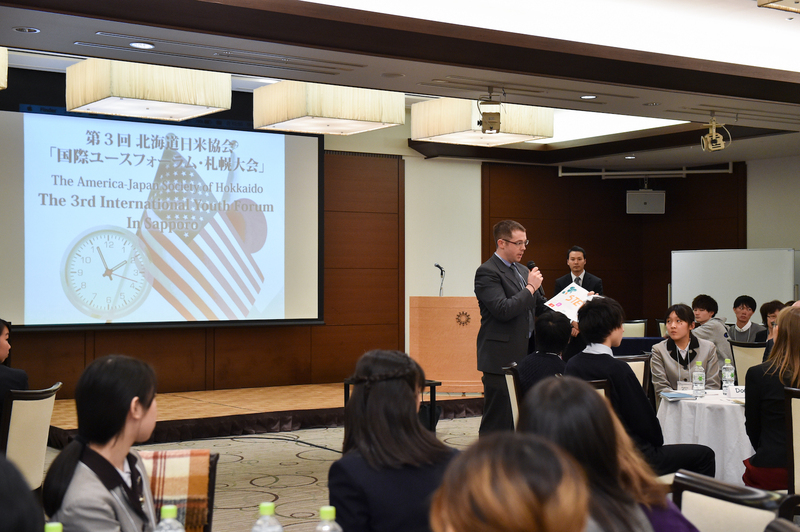 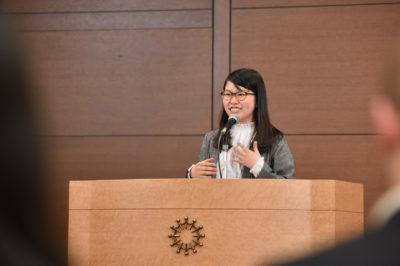 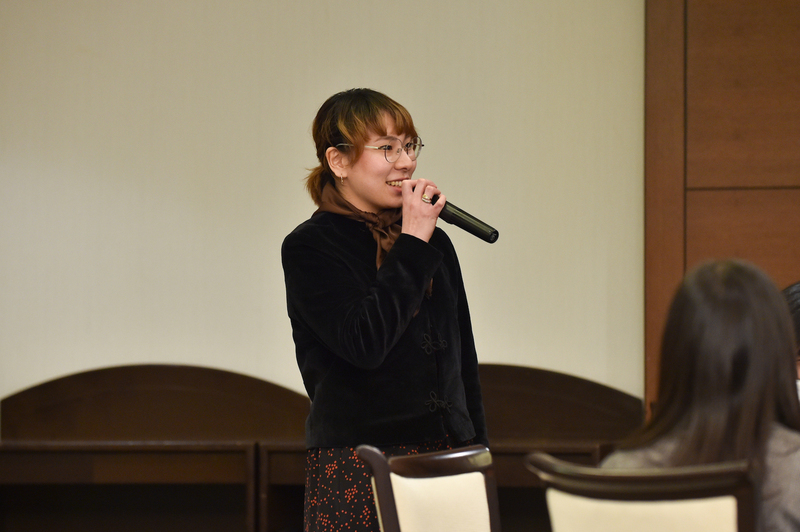 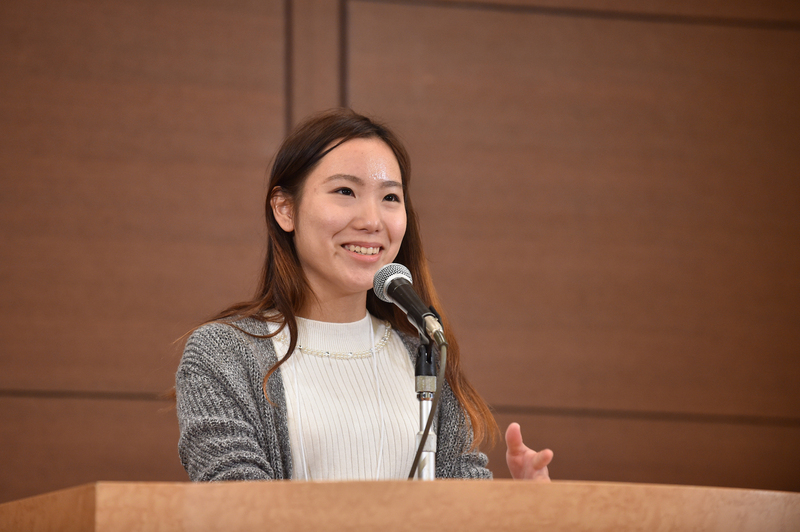 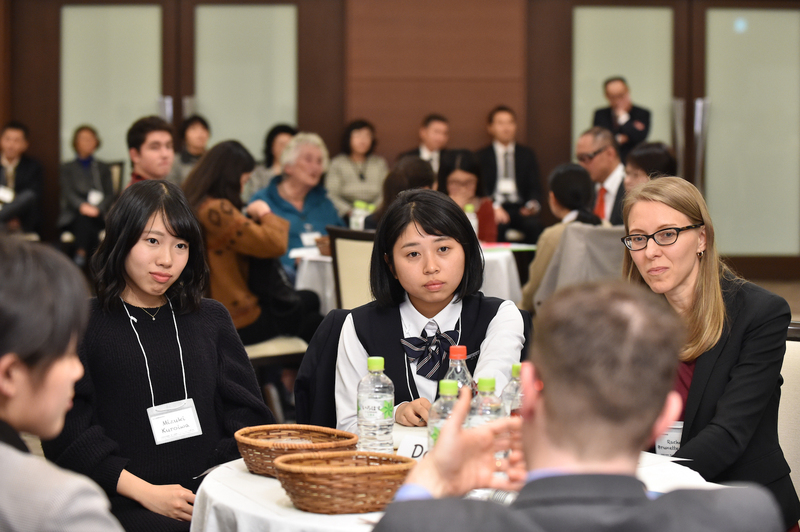 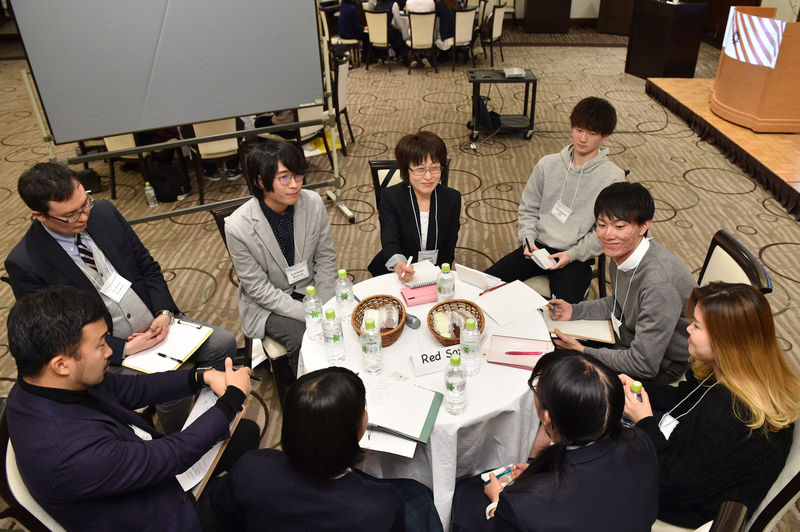 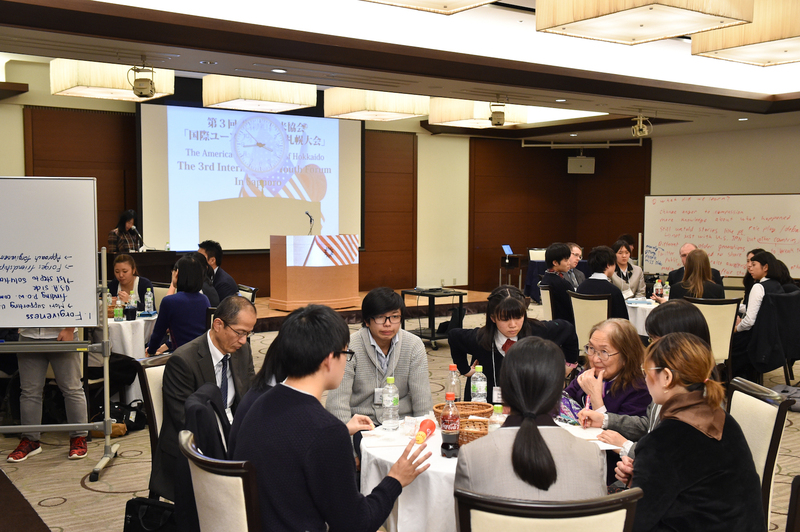 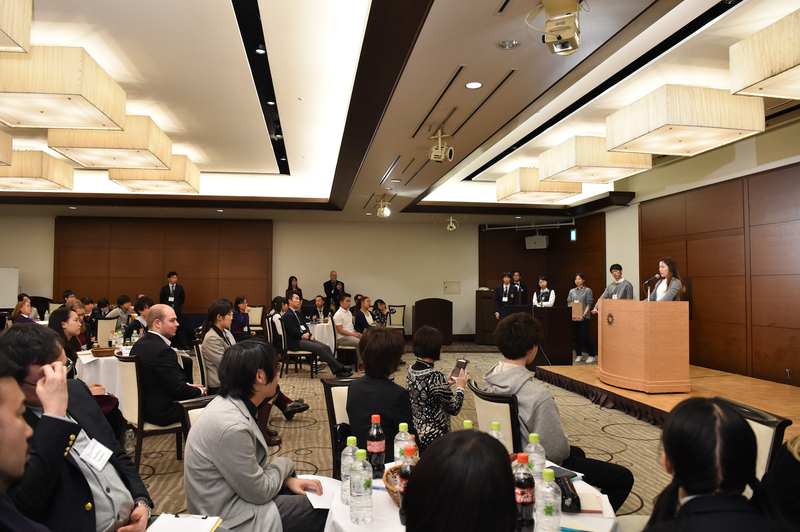 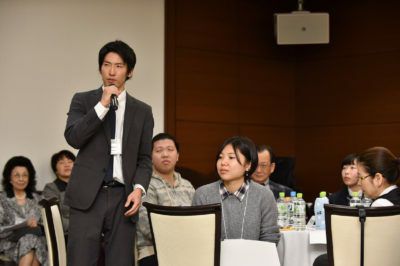 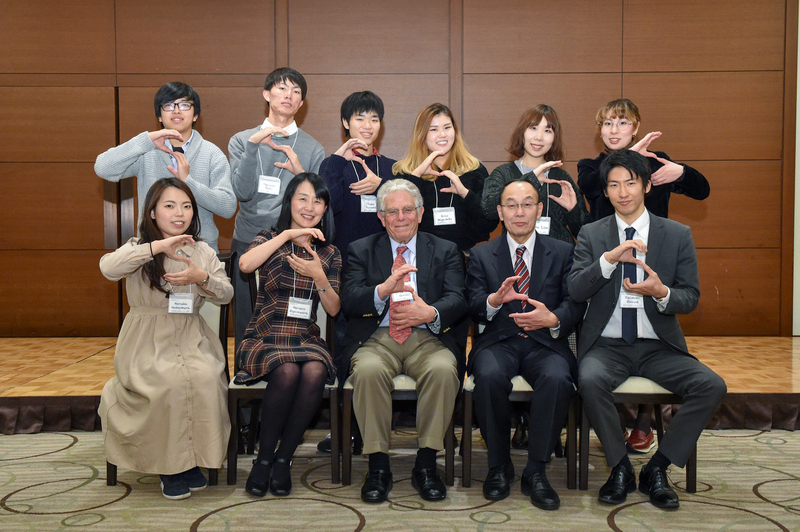 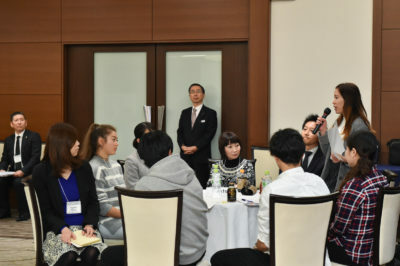 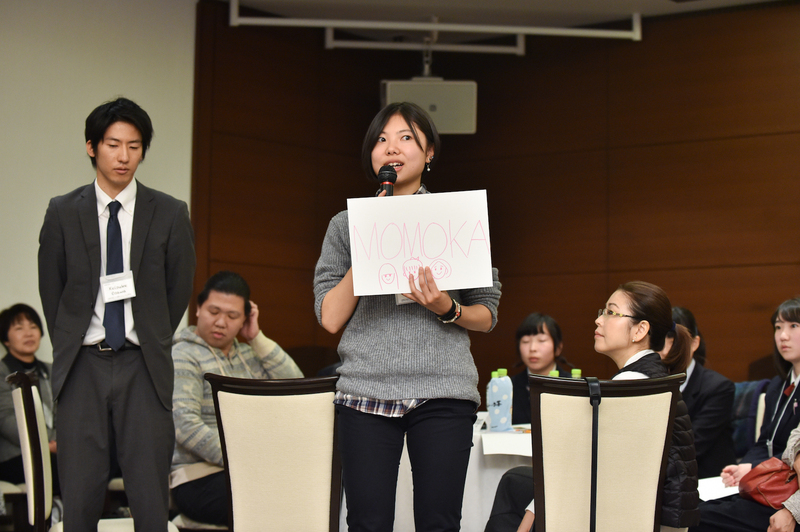 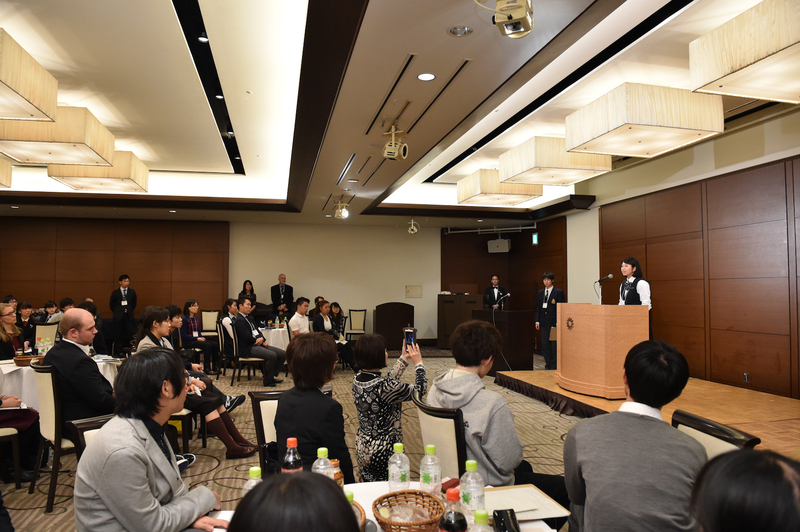 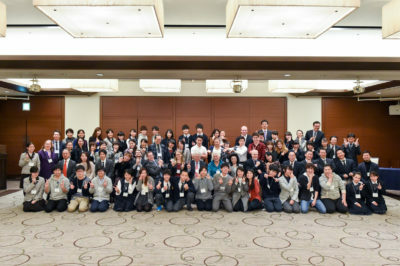 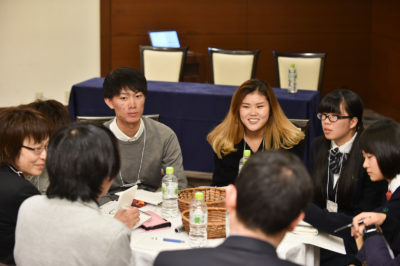 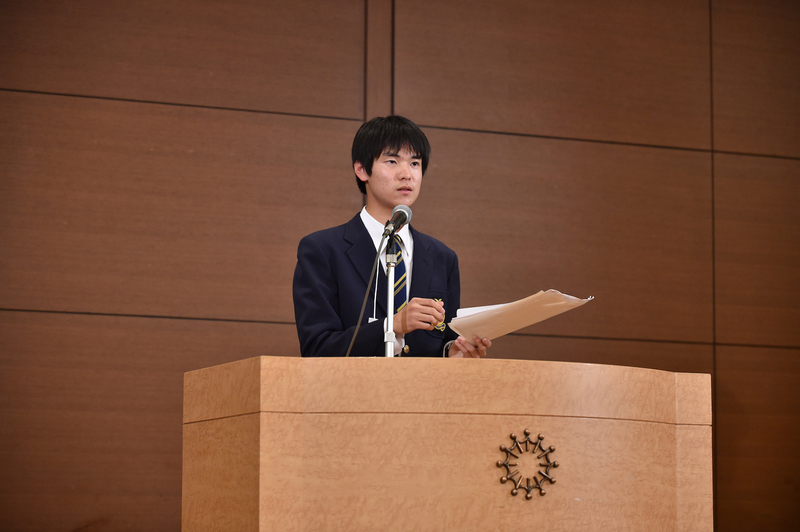 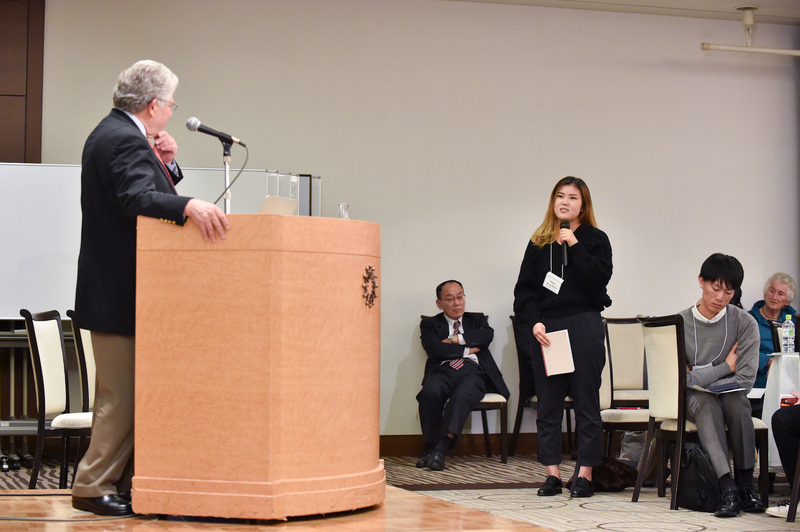 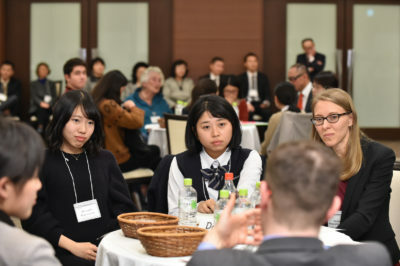 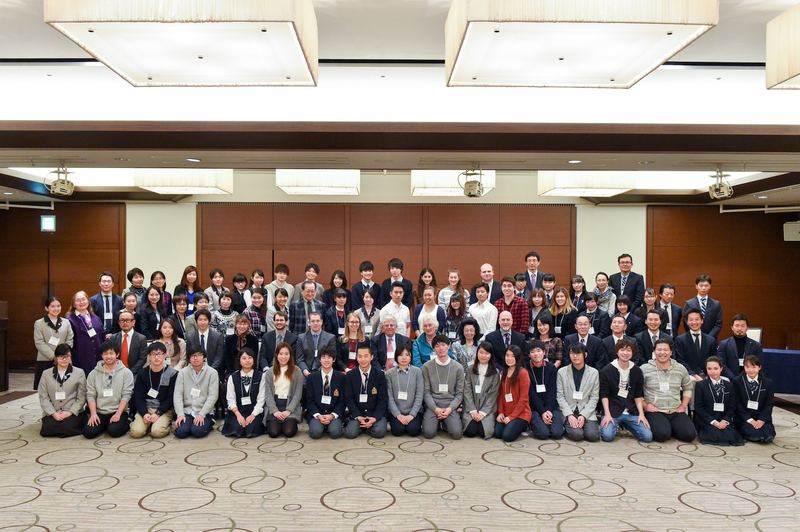 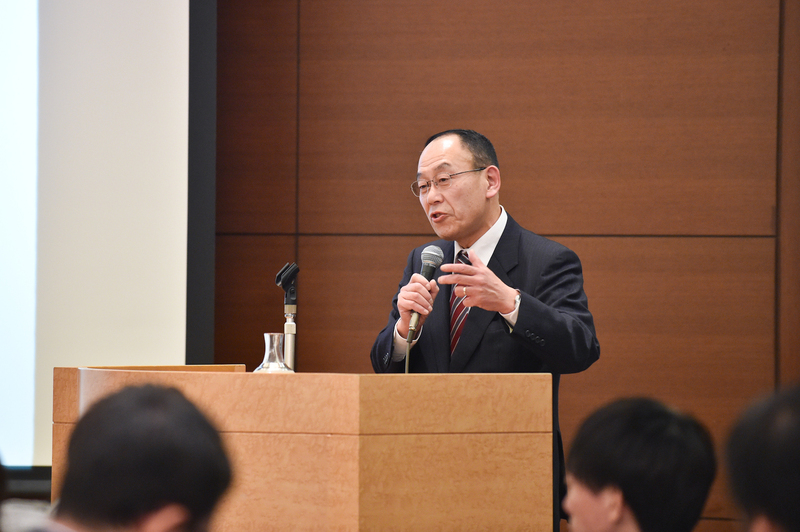 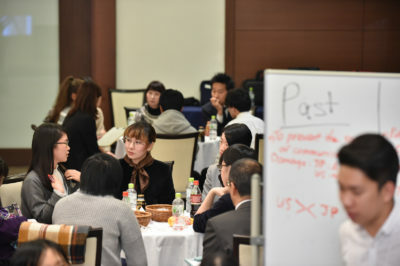 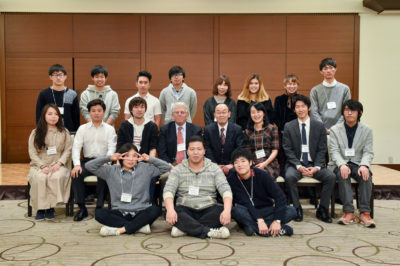 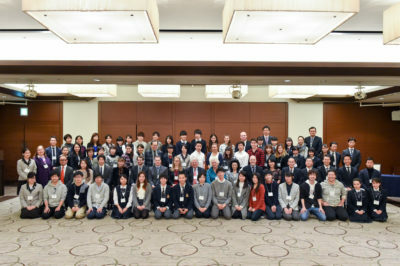 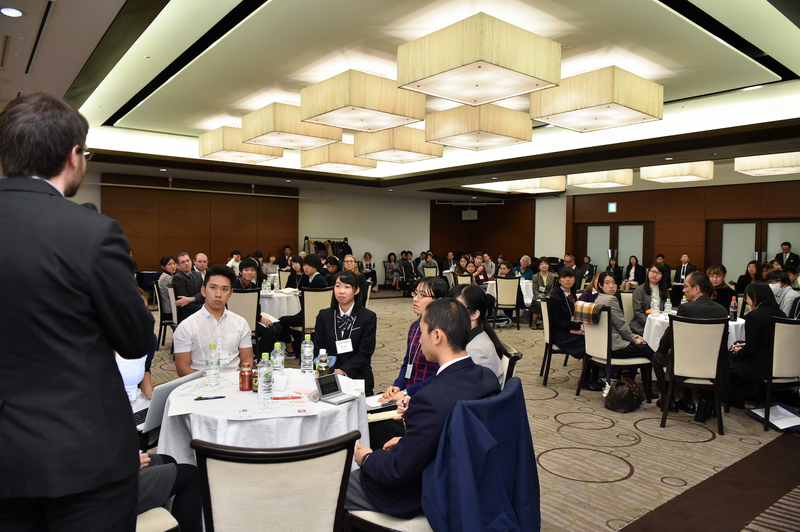 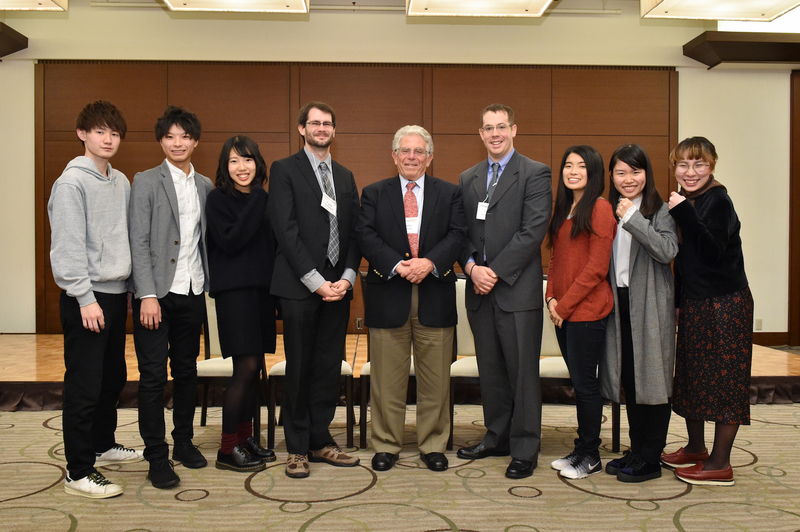 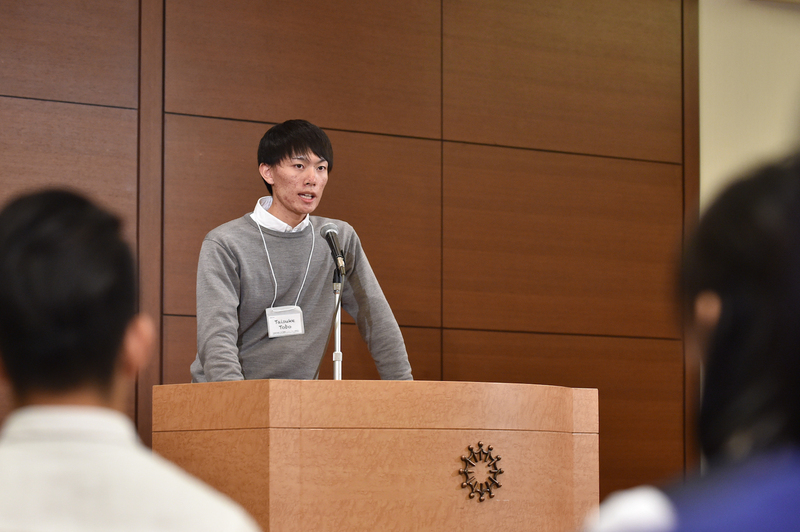 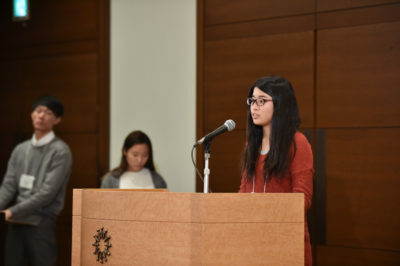 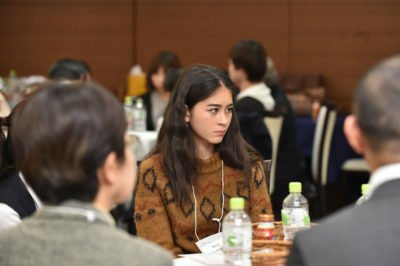 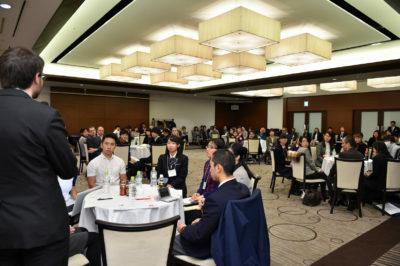 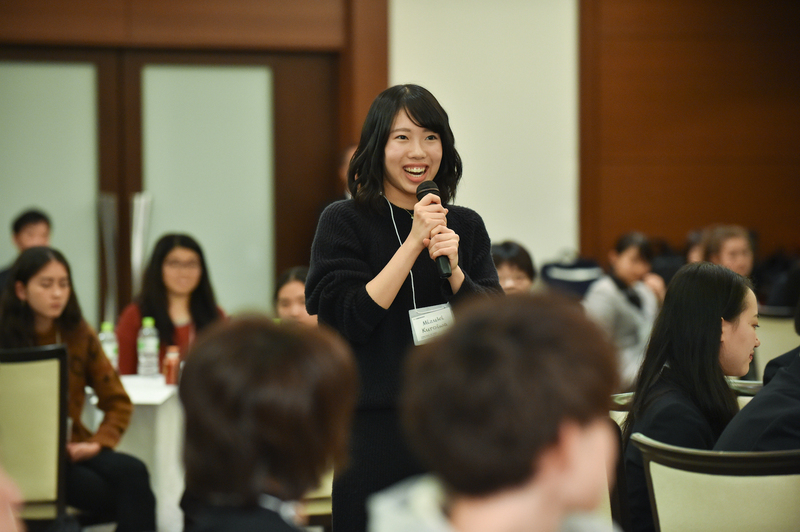 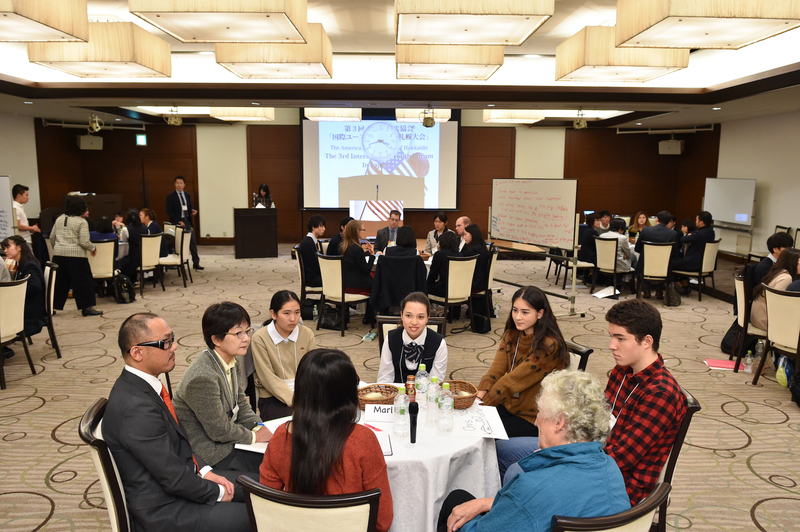 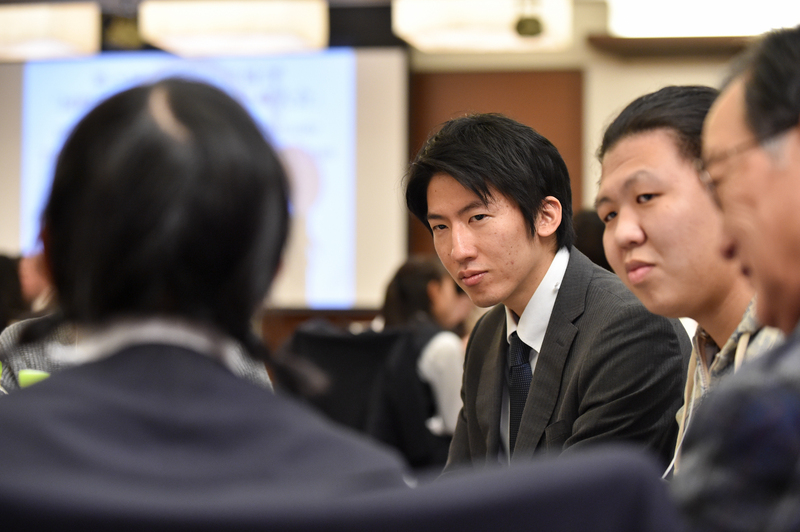 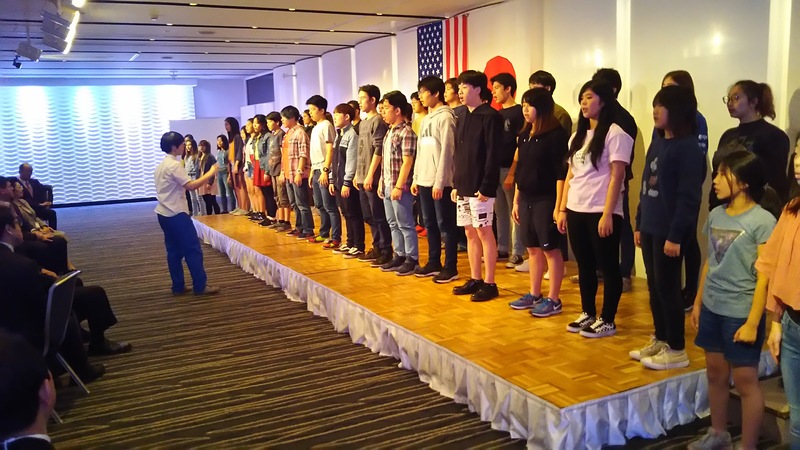 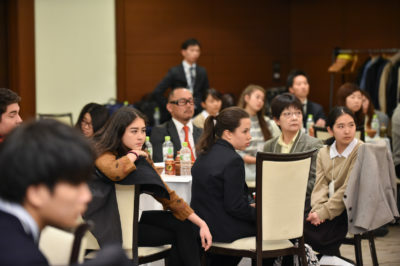 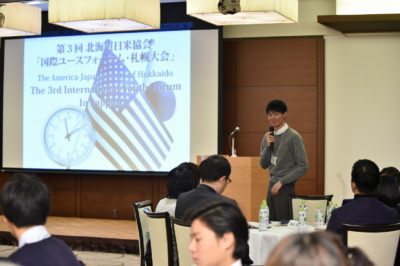 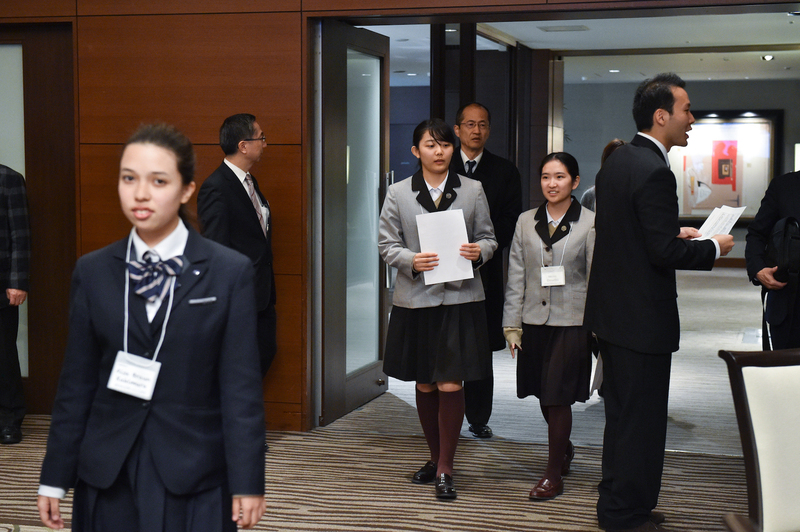 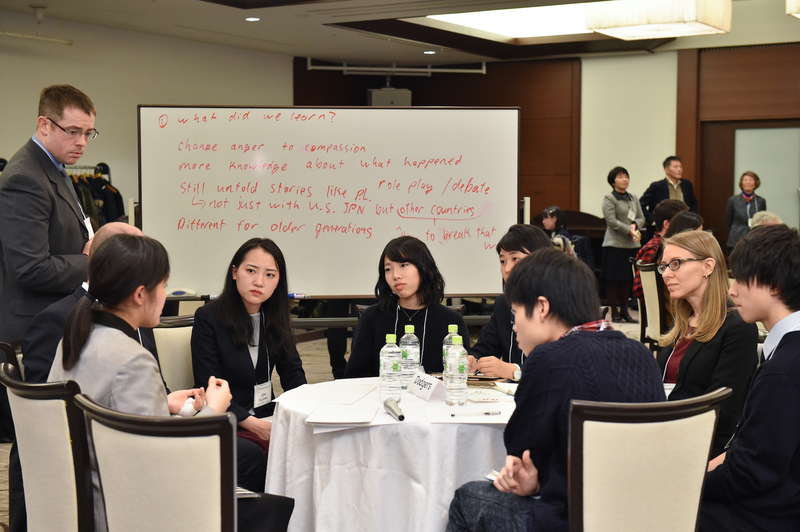 The 3rd International Youth Forum(IYF), Sapporo was held on Nov. 5 at o Keio Plaza Hotel,Sapporo–inviting a special guest from our Sister State, Masachusetts . 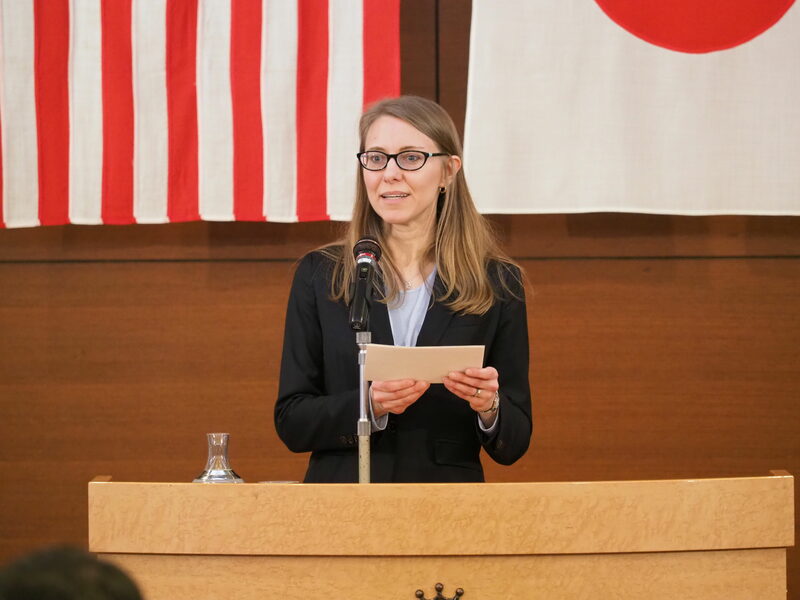 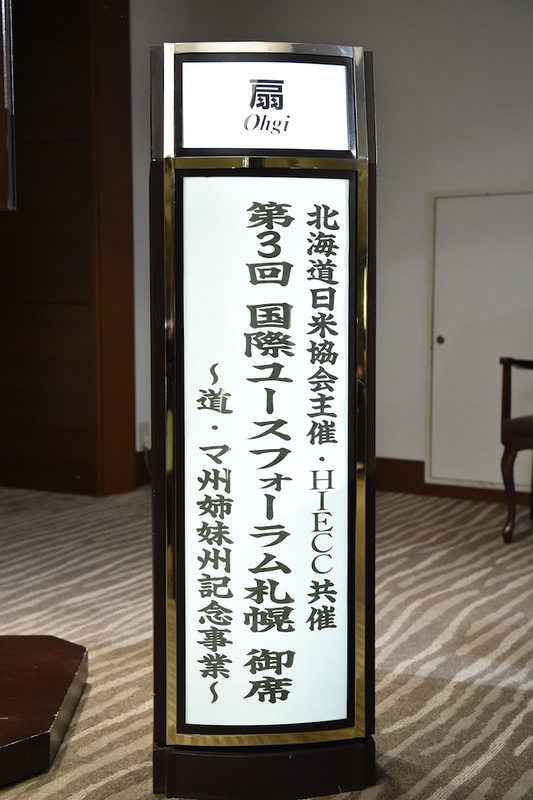 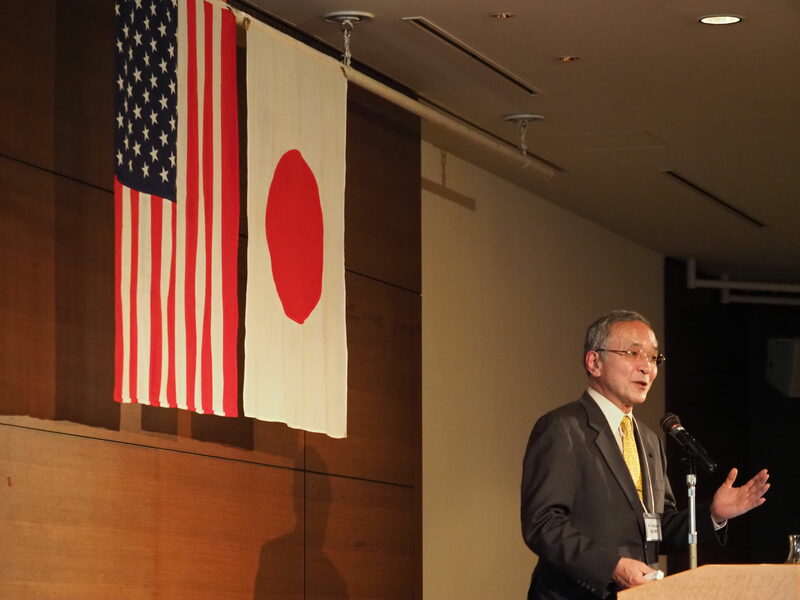 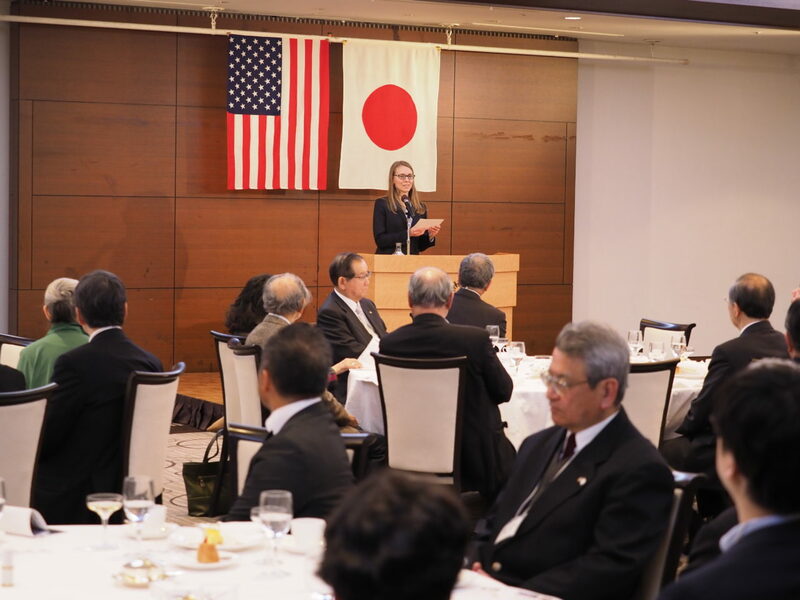 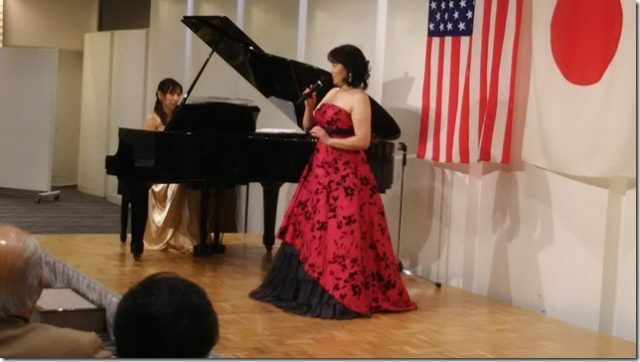 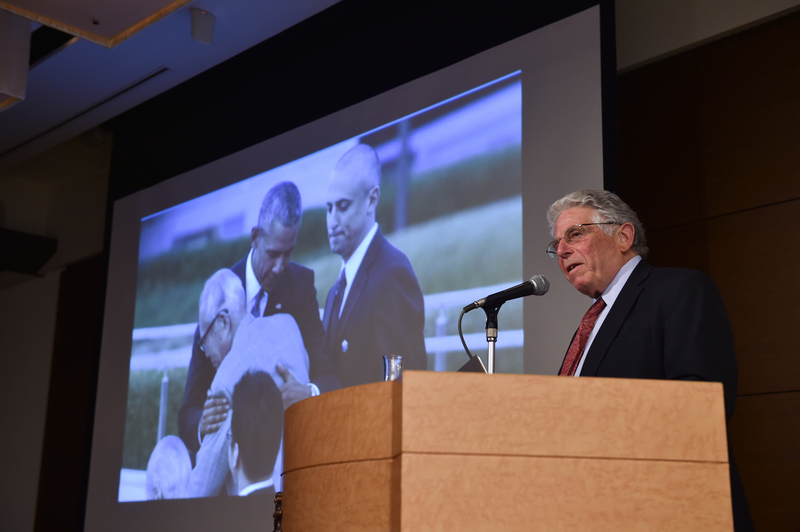 Profound thanks go our to the HIECC(co-sponsor), together with The U.S.Consulate General,Sapporo, The Ito Gumi Foundation. 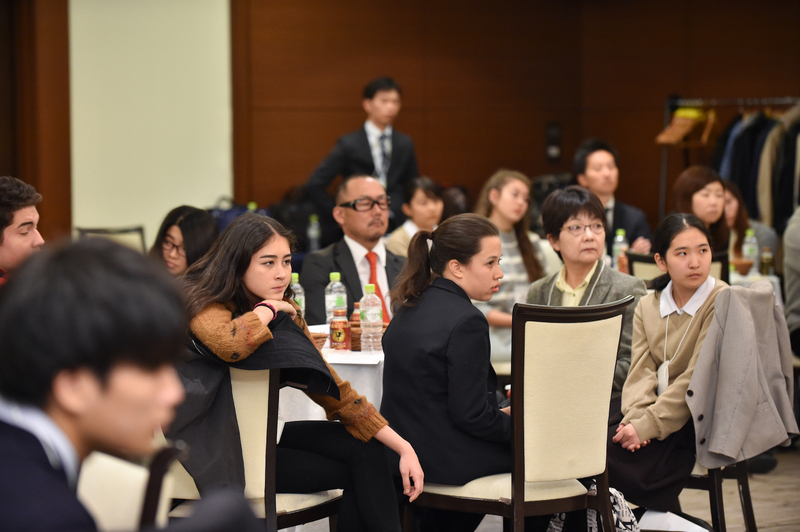 We also would like to extend our thanks to the follwoing supporters: Hokkaito Coca-Cola Bottling Co.Ltd, Sapporo Breweries Ltd, Imai Ltd. as supporters. 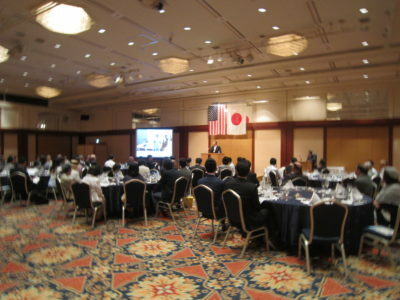 Keio Plazsa Hotel,Sapporo, Sapporo International Communication Plaza Foundation, and SEA coorporated us a great deal. 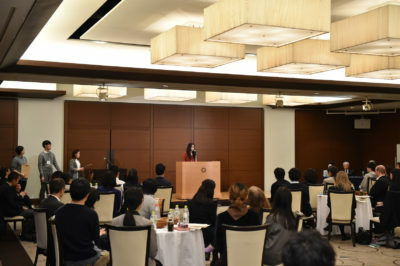 Most of all, our deep apprecaiations go not only to high school students and teachers of —Hokkaido Sapporo Kokusai Joho high school, Kiyota high school, Hokurei junior-high school, Sapporo Daiichi high school, Sapporo Sacred-heart girls high school—but also to HIS students and and selected members of college students rainsing from Hokkaido University, Sapporo University, Hokkaido Kagaku (Science)University, Fuji Women’s University,etc. 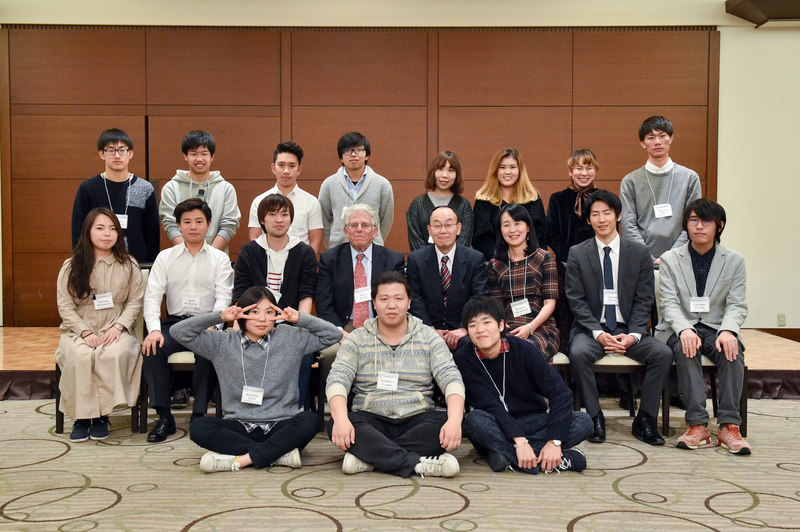 and the AJSH members-—- who actively and vigorously participated in the IYF this year. 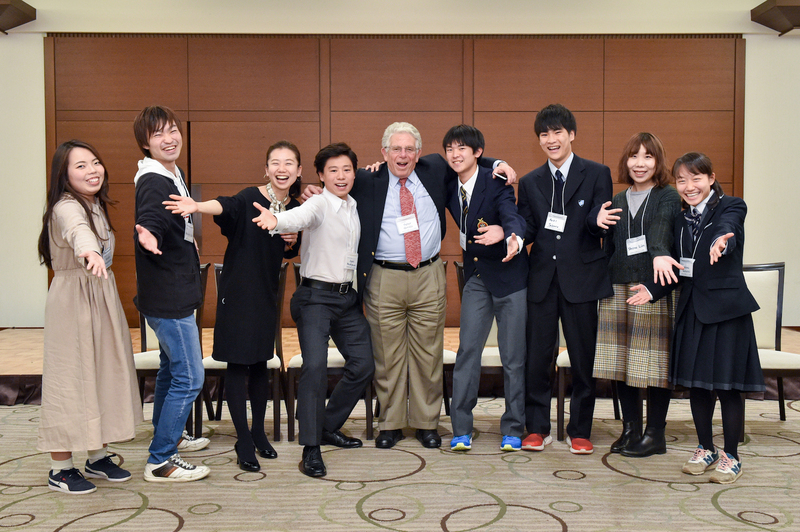 We’d like to thank Mr. Masaki Fuse(Director of IYF), Dr. Haruno Ogasawara(Vice Director of IYF), Shunzo Kobayashi(Media&Planning), Barry Ratzuliff(Head Master of HIS), Mr. Maresuke Takahasih, Mr. Takanari Tsuiki , Mr. Yoshihito Watanabe. 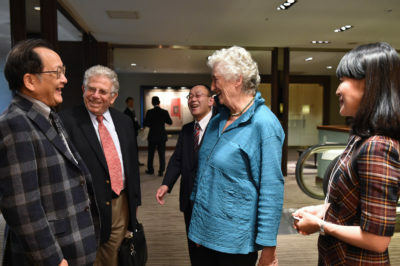 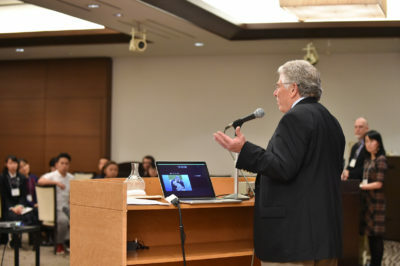 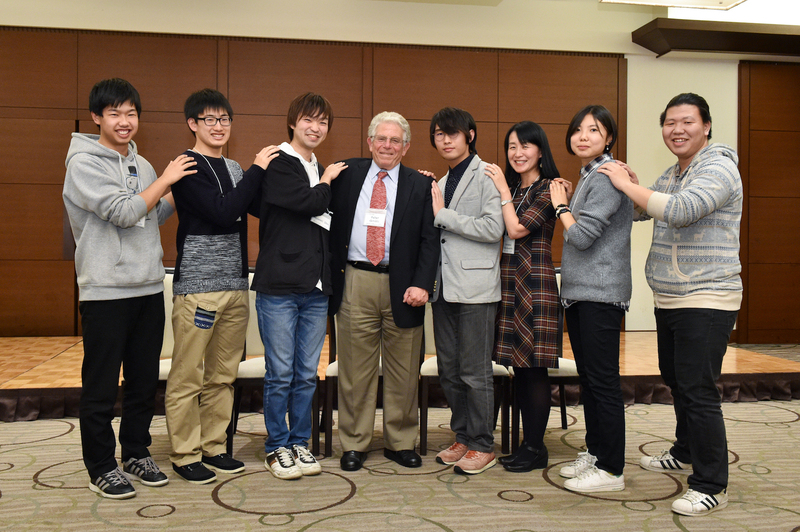 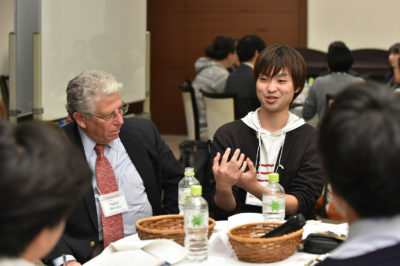 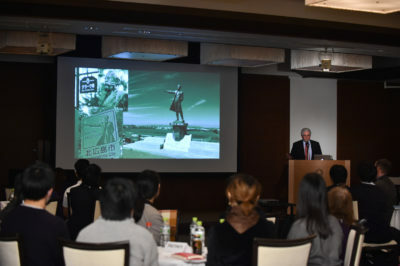 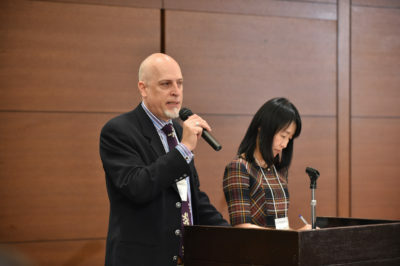 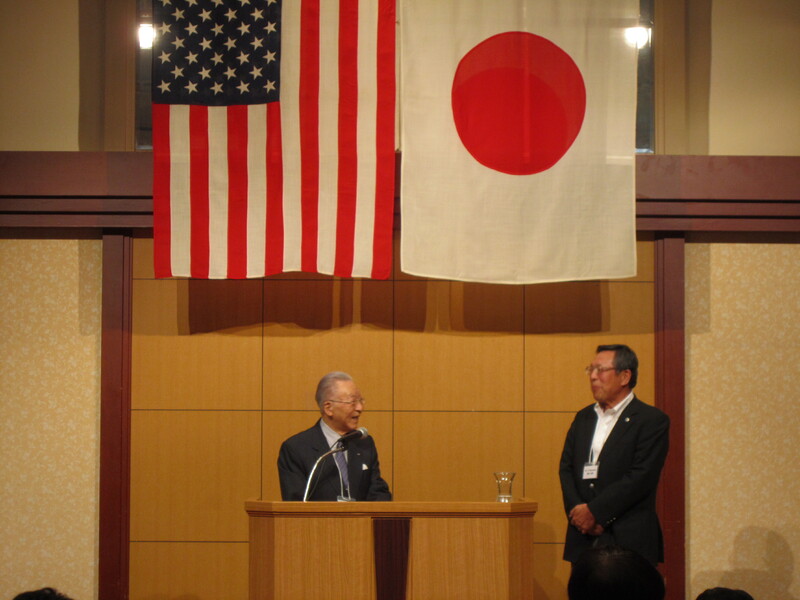 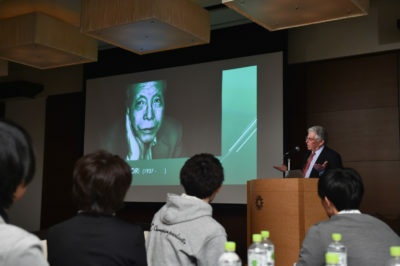 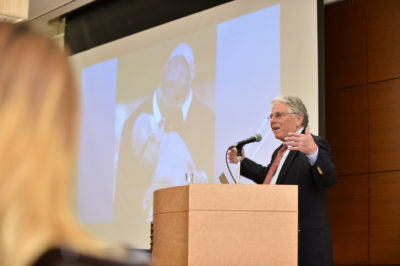 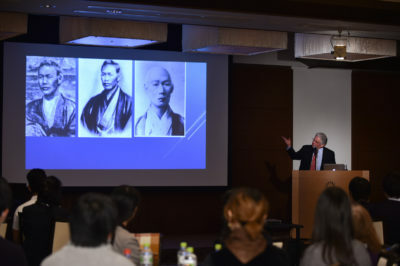 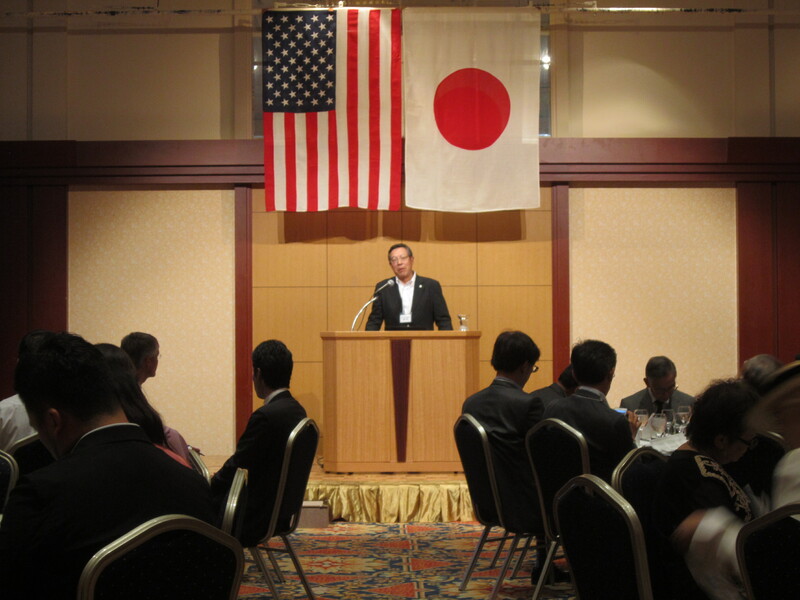 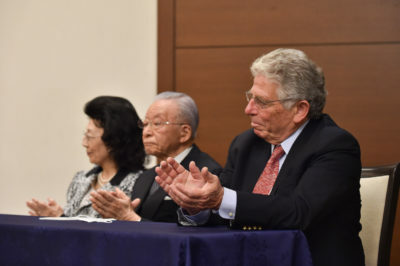 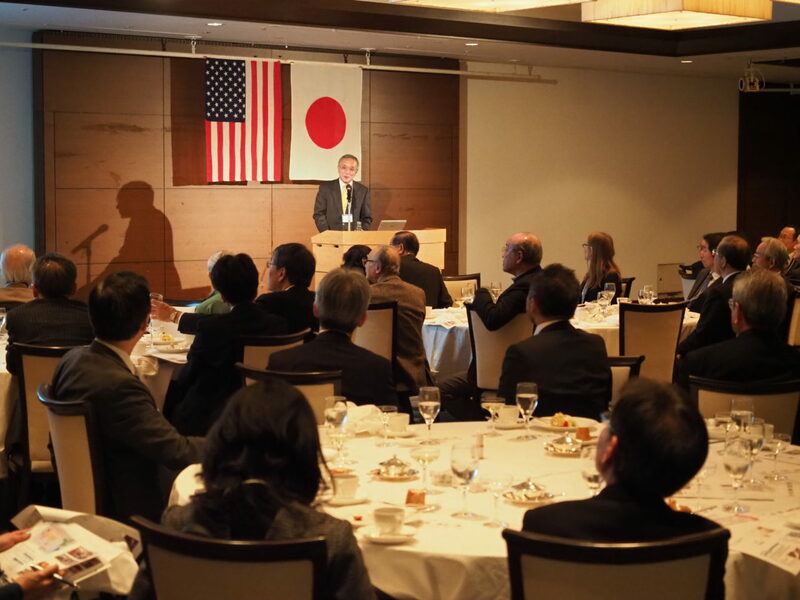 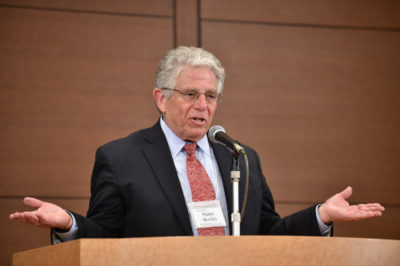 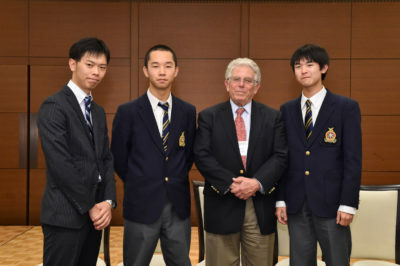 An invited guest speaker was Mr. Peter Grilli,a movie producer and President Emeritus of Japan Boston Society,–from our Sister State Massachusetts. 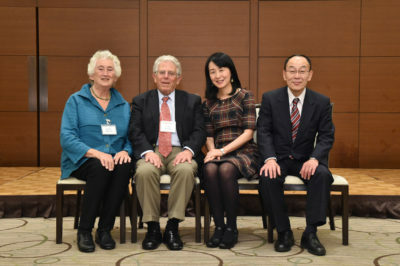 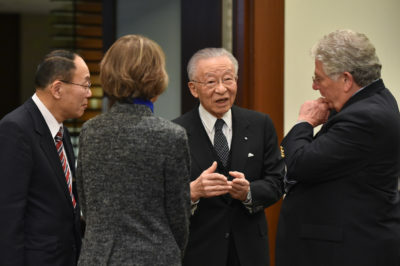 Peter-san visited here with his wife Suzan, and Mrs. Kiyoko Morita,Director of the Mass-Hokkaido Soceity in Massachusetts also joined the IYF. 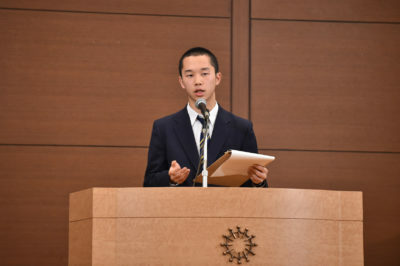 His presentation based on the documentary film dealing with the 12 American prisoners of war in Hiroshima “Paper Lanterns” allowed the young participants and other participants to re-consider the meaning of not only “Peace” through education and dialogue, but also the importance of cross-cultural dialogues through cross-cultural intercahnge and educational program like the IYF,Sapporo. 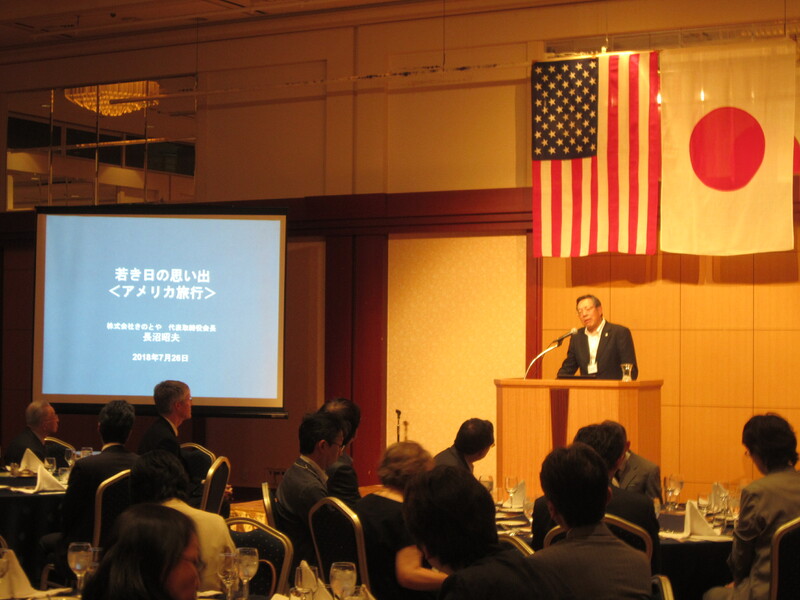 It was a fun and memorable event– invititng friends from Massachusetts. 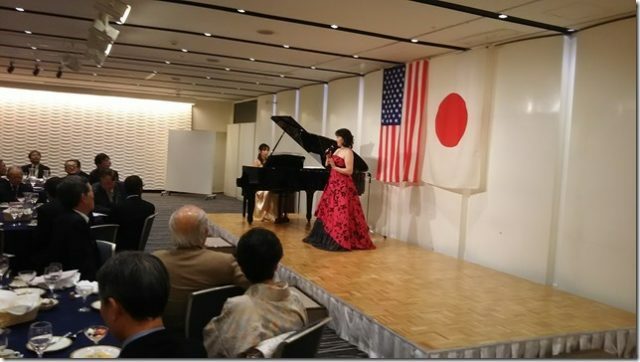 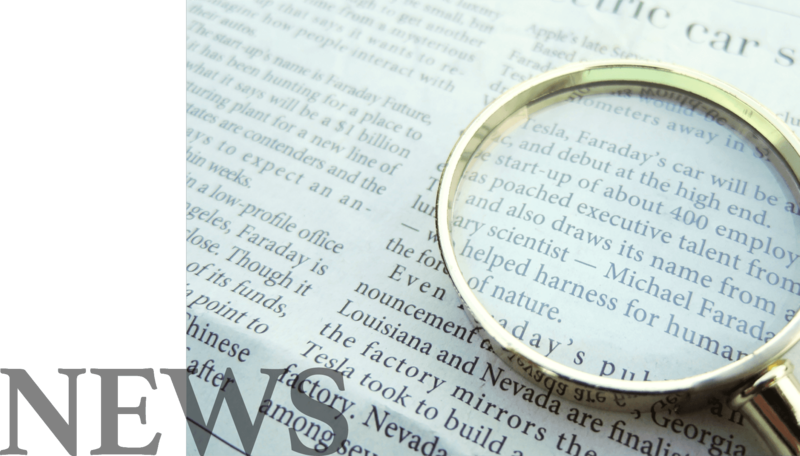 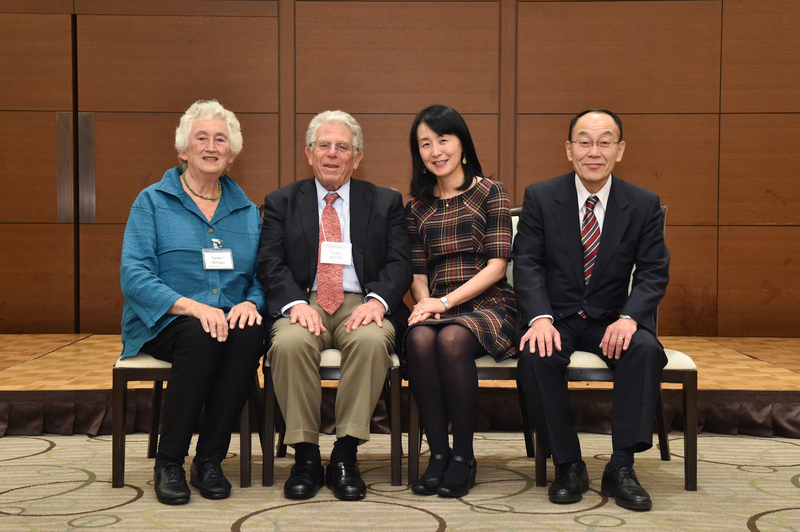 …..We also enjoyed many wonderful reunions with Japanese friends, visiting their homes or meeting over dinners, catching up on news both political (mostly terrifying) and personal (inspiring and enriching). 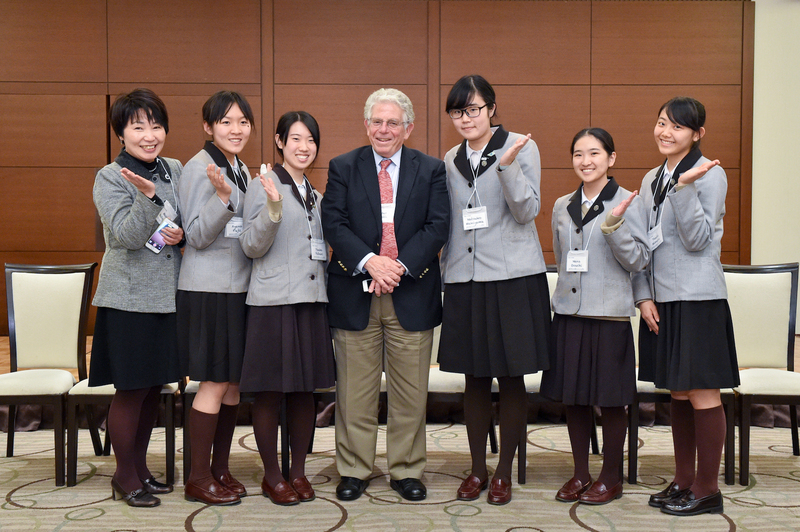 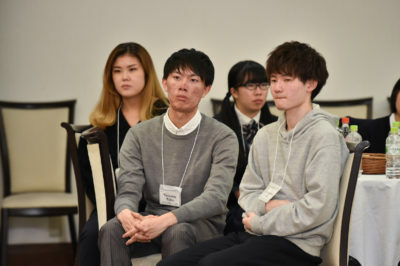 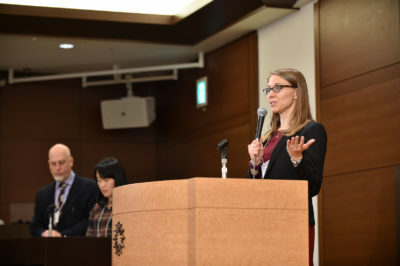 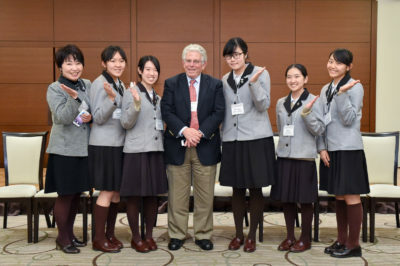 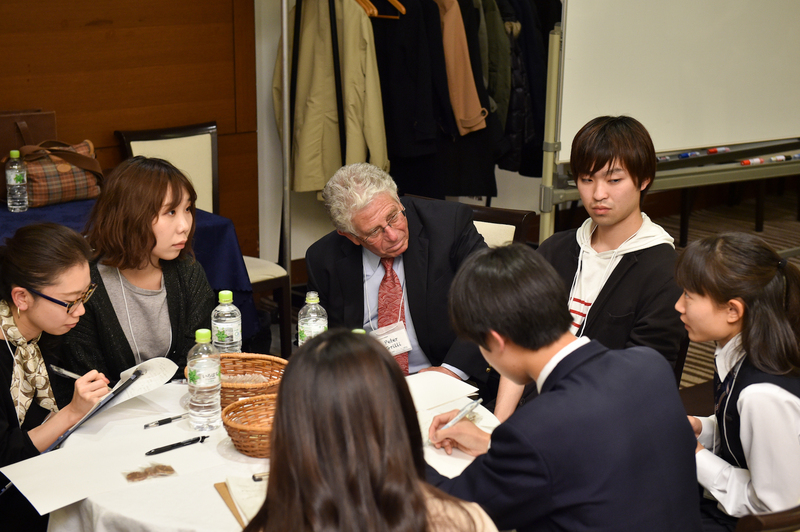 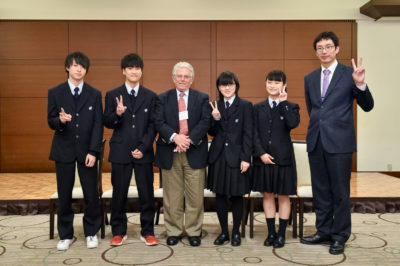 High on our list of memories of the trip was an International Youth Forum in Sapporo, where a screening of “Paper Lanterns” to about 200 high-school and college students launched a fascinating three-hour discussion. 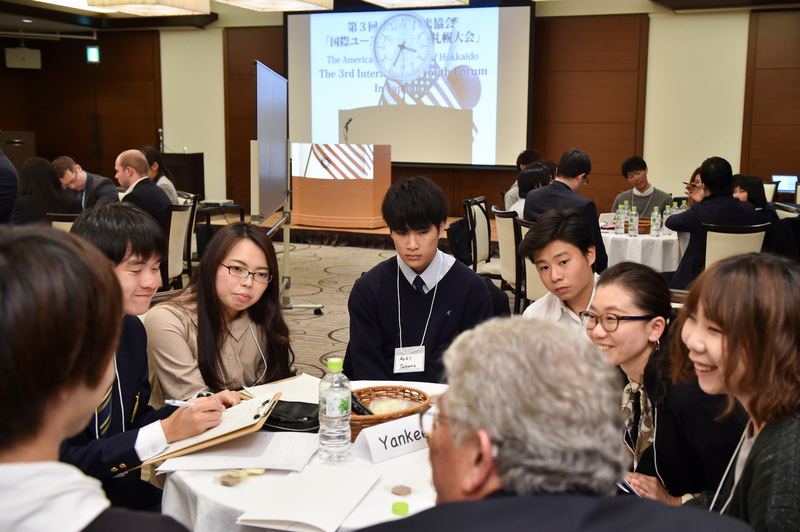 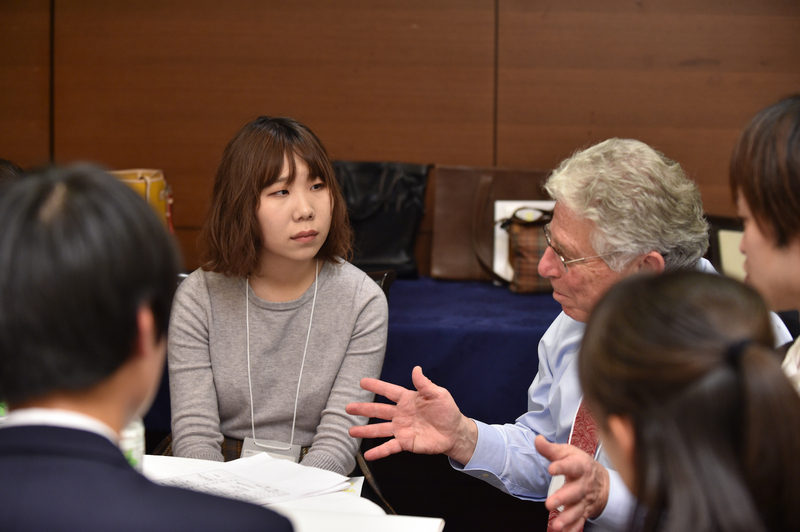 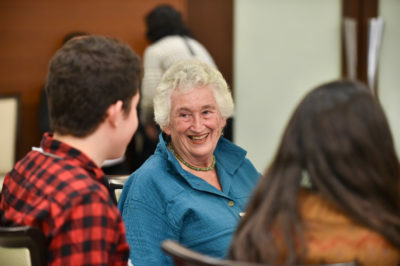 Meeting with students in breakout groups, both of us were moved and inspired by their responses to the film, involving aspirations for the future of Japan and their concerns about nuclear weapons. 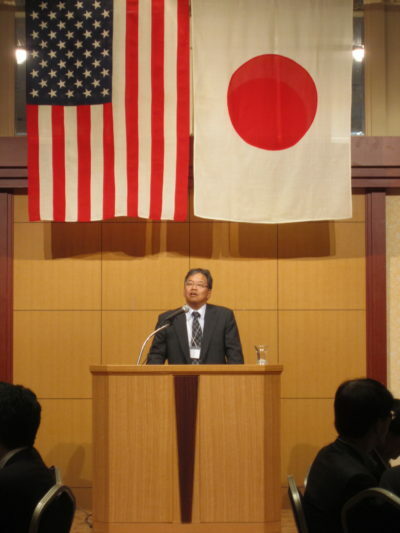 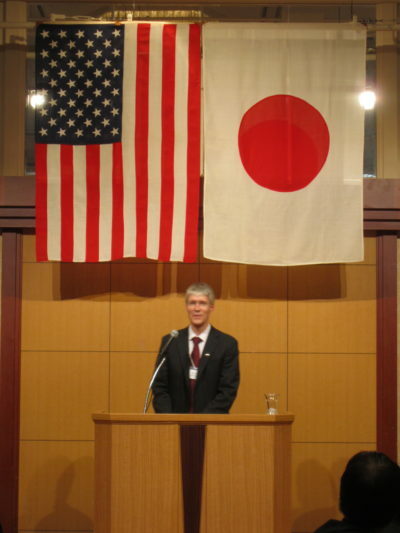 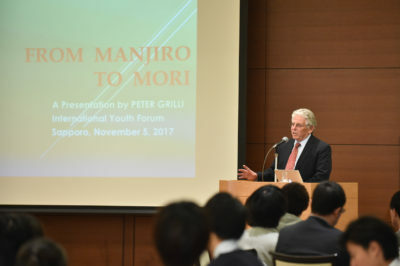 The above is the summary of Mr.Peter Grilli who reported the successful Sapporo way or style of international youth forum to his friends and assciates at members of Boston Japan Society, America Japan Societies of Tokyo and Kyoto.